Pakistan are the most successful team in the Hockey World Cup as they have lifted the coveted trophy 4 times -- in 1971, 1978, 1981, and 1994. The 2nd match on the 8th day of the mega hockey extravaganza will see Pakistan locking horns with Malaysia. Both the teams are coming into the match on the back of losses so it becomes increasingly important for both of them to get some points on the board. 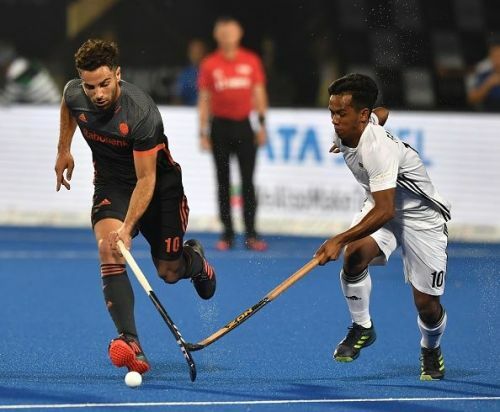 Malaysia suffered a 7-0 drubbing from the Netherlands in their first match of the 2018 Hockey World Cup. Roelant Oltmans must have been extremely disappointed with how his boys performed. If there is one good performance by a Malaysian player from the match against the Netherlands, it is that of goalkeeper Kumar Subramaniam. Yes, you read that correct -- Malaysia's custodian performed extremely well even though his side conceded 7 goals. If it were not for his spectacular saves, the Malaysians would have certainly allowed the Netherlands to touch dual digits in terms of goals. The Sukri Mutalib-led side would look to quickly move on from this thrashing as they get set to face Pakistan. The Speedy Tigers, who are currently ranked 12th in the world (one place ahead of Pakistan), are a much better side than what was at display against Netherlands. They really need to pull up their socks fast, as the result of each match becomes crucial from now on. On the other hand, Pakistan gave a stiff challenge to Germany in their first match. Even though they lost 0-1 against the World Number 6 team, they did not go down without a fight. The Muhammad Rizwan Sr-led team threatened their opposition on multiple occasions and even came close to scoring. Muhammad Zubair missed a sitter up front and the 30-year-old forward would be eager to make up for it by scoring against Malaysia. At the back, however, Pakistan were tightly knit as ever, giving the German attackers little space. In the end, a solitary goal from Marco Miltkau was all that separated the two sides. Tauqeer Dar and his troops will be high on confidence after putting up a good show against Germany and can be expected to take the three points when they face the Malaysians. 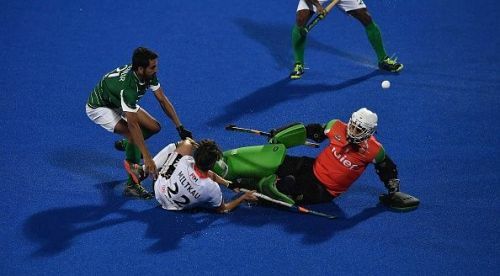 It is hard to recover quickly from such a heavy defeat so Malaysia is likely to go down against The Green Machine.